Andrew Ortiz, JD, MPA., an internationally-recognized leader and scholar, has presented both across the United States and internationally on topics related to leadership, success, human resources, motivation, and personal and organizational development. As President of Ortiz Leadership Systems, he has developed and conducted keynotes, seminars and workshops across the globe. His programs have resulted in higher productivity and success for organizations across the globe.Andy Ortiz has helped some of the top organizations and leaders in the nation to attain a peak level of performance. Ready to coach, consult, and inspire you to achieve your level best in all that you do, Andy’s experience in working with diverse constituencies in various sectors of leadership will help prepare your organization bring a personal approach to greater efficiency, increased effectiveness, and unparalleled excellence. Andrew F. Ortiz who was born and has lived in Arizona for 38 years, has three degrees from Arizona State University, and as a second-year law student was elected Student Body President of the nation’s largest university. While at Arizona State University, Andrew enjoyed great success as a leader and as a scholar. Ortiz served as the Vice President of Operations with the ASU Hispanic Business Students Association, Vice President for Community Affairs with the ASU Chapter of the Movimiento Estudiantil Chicano de Aztlan (M.E.Ch.A. ), and as President of the ASU Young Democrats. For his work on social justice issues, Ortiz received the 1995 Community Service Award from the Martin Luther King, Jr. Center for Nonviolent Social Change in Atlanta, and was bestowed with an Image Award from the National Association for the Advancement of Colored People (NAACP). 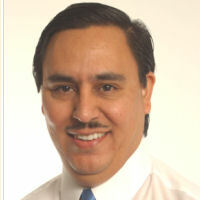 Andrew Ortiz is committed to the betterment of health and human services in his community. Ortiz has been a volunteer with the Arizona State College of Law Homeless Legal Assistance Project, has been a member of the Arizona Governor’s Commission on Community development, a member of the Arizona Joint Legislative Welfare Reform Task Force, a Steering Committee member with the Arizona Association of Food Banks, and a Founding Member of Protecting Arizona’s Families Coalition. Andrew is dedicated to building partnerships to serve the needs of Arizona’s and America’s citizenry. He has been a champion in the arenas of law, personal leadership, nonprofit management, education, health and human services, and youth development. Andrew is a successful leadership trainer and a dynamic public speaker, and has been a distinguished member of the prestigious public speaking honorary, the International Platform Association.